Ezequiel Sanucci & Lydia Müller are professional dancers, teachers and choreographers in Argentine tango, contemporary dance, ballet and contact improvisation. They are directors of the company Tango Now where they make their own tango dance theatre productions. At Academia de Tango in Amsterdam they are teaching regularly tango classes, they are guest teachers at Codarts, and they teach workshop at other tango schools, dance academies, dance companies, festivals and events. Ezequiel and Lydia they studied Argentine tango in Buenos Aires with Gustavo Naveira, Leonardo Cuello, Dana Frigoli and Jorge “El Pardo” Vieyra. In 2012 they got a scholarship for artistic development form the Fonds Podiumkunsten to follow professional tango studies in Buenos Aires for 6 month. In this period they studied traditional, neo and performing tango with well-known tango teachers at a professional level. Ezequiel and Lydia performed as Argentine tango dancers at major festivals, theaters and milongas in Europe and Latin America as: Club Villa Malcolm, Festival Cambalache in Buenos Aires; Muziektheater Amsterdam, Festival Mundial, Taboe Tango, Argentinean Embassy in The Netherlands; TangoGreece Festival in Athens; and Phantastango in Germany, among others. They performed together with orquestras such as Alfredo Marcucci, Sexteto Milonguero and Trasnoche. 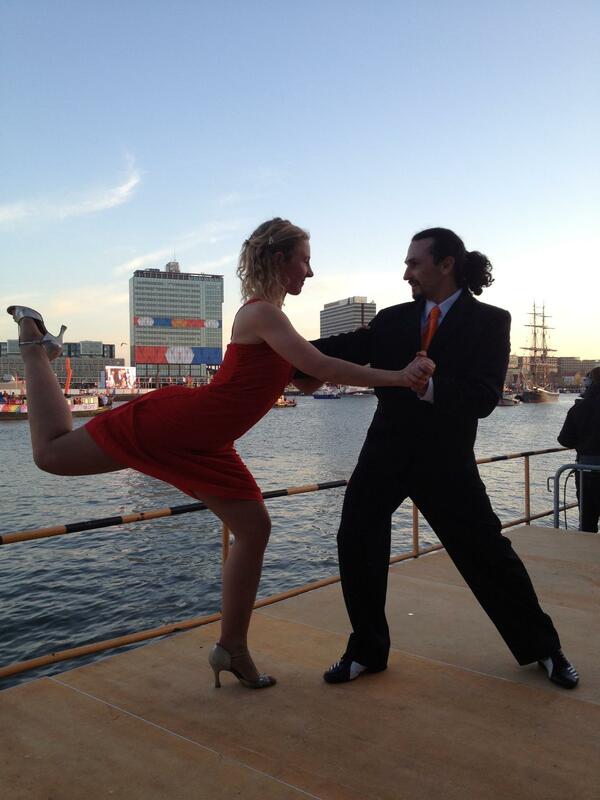 In 2013 they performed tango at the celebrations of the coronation of the king Willem Alexander and queen Máxima. As contemporary dancers Ezequiel & Lydia have been working since many years with well-known dance companies in Europe. Based on the knowledge they have in different dance styles, they did intensive dance research to developed their own cross-over style between tango, contemporary dance, ballet, contact improvisation and theatre. In 2010 they won the 1st prize for best choreography at Rabotheater Open Podium Twente in The Netherlands.